There seems to be a general perception that reading books is a more stimulating endeavor than playing video games. As an author, I’d love to be biased and agree with this sentiment wholeheartedly, but I don’t. While I agree that some video games are mindlessly repetitive (and there is a time and place when you need that kind of entertainment), it would be a mistake to sell games short as a whole. Some of the most captivating stories and well-developed characters I have ever encountered have been from video games–usually RPGs or visual novels. Playing along and controlling the actions of the main character brings about a level of immersion in a story that just isn’t attainable from a book. And the music! The scores that accompany some video games are beautiful works of art by themselves. How I wish that my book could have a soundtrack to accompany it! As with books, the longer the series, the happier I am. 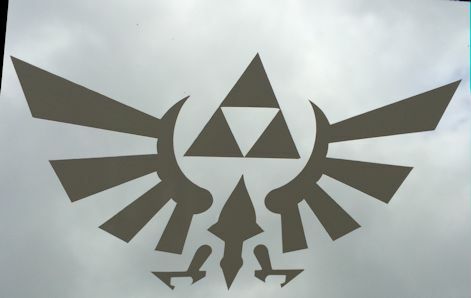 My absolute favorite games are The Legend of Zelda series and Shin Megami Tensei: Persona series. Our house is littered with LoZ collectables: mugs, stickers, figures…and amiibos. Which brings me to my next topic. Hubby and I love to collect amiibos, but some of them are ridiculously difficult to find! We’re not willing to sit outside of stores for hours or pay the prices that scalpers charge to get them second hand, so we missed out on many of more limited amiibos. Until now. Yesterday, we dropped by our local Best Buy and hit the motherload: Marth, Little Mac, Shulk, Captain Falcon, Charizard…and more! 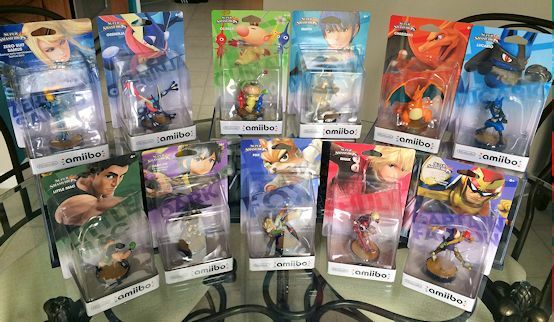 Apparently, Best Buy has gotten a large shipment of some of the hard-to-find amiibos. If you’re a collector, this might just be your chance to pick up some of the missing pieces! Good luck! Amiibo haul! Now we just need to pick up some more storage boxes. Man, wish I had money to drop. That’s a nice haul. And yeah, games are wonderful storytelling tools! Some of the more artistic style games can give you a rich story simply through visual and music. Have you ever played Journey? It helps when you have Best Buy rewards dollars and a gamer’s club membership (20% off!) ^_- And I completely agree! I haven’t played Journey myself, but I’ve seen clips of the gameplay. Recently, I played a game called Tengami, have you heard of it? It’s a Japanese themed game set in a pop-up book. The music and visuals are gorgeous! Journey and Flower are two of my favorite games. But Journey by far outshines the two. Have not heard of Tengami! I’ll have to check it out. I bought all three of That Game Company’s games when Journey came out. Flower is adorable. Doesn’t have a strong story like Journey, but there’s a structure of one, and the impression just makes it that much stronger. Legend of Zelda on N64, I played the heck out of it. Really loved that one. Hiya hiya, how are you today, check out my new blog post in an hour. Nominated you for the starlight bloggers award. Cheerio.